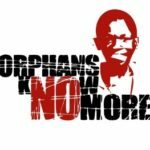 Orphans Know More: Believe that the best way to tackle the international orphan crisis is to care for children in a family environment and unit. 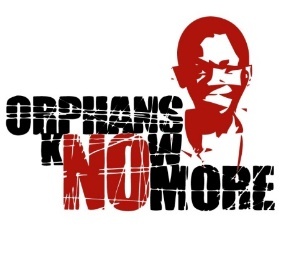 OKM is one of the ministries of Youth With a Mission England and Wales (YWAM) and based in Harpenden. The Jinja Region in Southern Uganda is where OKM has its pilot project. 20 local families care for 140 children as their own, offering love, acceptance and care without condition. These families still function as a nuclear unit free from institutionalization, inspiring hope that this model can be replicated on a larger scale. CCT & Kimbilio: Support street children in Lubumbashi, Katanga in the Democratic Republic of Congo. They have been working alongside the Anglican Church of Congo since 2007. They support children living in the streets of Lubumbashi through a drop in and welcome centre which offer a rehabilitation programme, education and training, health, nutrition and accommodation support. The four key areas of service provision are prevention, street outreach, rehabilitation and reintegration. Kimbilio is a project supported by the Congo Children Trust. As a church, we have partnered this charity for many years and will continue to offer pray, practical and financial support. The charity is overseen by a group of experienced Trustees who share a passion for the Congo, and our work with street children. The Children’s Society: Fight child poverty and neglect, and help all children have a better chance in life. From their history in the vision and actions of a young Sunday school teacher, at the end of the nineteenth century, their work has been grounded in the churches at local and national levels. Churches constitute their core partners and they work very closely with the Church of England. They are proud to work with all the major denominations and with other faiths, as part of a movement for change. Azalea: Azalea reaches out to those trapped in or vulnerable to sexual exploitation, supporting them to build new lives because of the love of God through Reach out to those trapped in a vulnerable sexual exploited situation, supporting them to build new lives because of the love of God, through Outreach, Drop-In and Befriending. They also work as a key partner in Faiths Against Child Sexual Exploitation (FACES) – which is a local coalition of faith leaders working to prevent Child Sexual Exploitation (CSE). They recognise that abuse is real and they believe that faith communities can and should be part of the solution. Azalea works with other faith groups to offer training to community leaders so they can spot the signs of CSE and address the problem at a local level.